Welcome to St. Louis, Missouri! Coronado Place & Towers is a great place to live, just steps from Saint Louis University and easily accessible by public transportation. Moving anywhere is stressful, we would like to make your move as easy as possible.  Coronado Place & Towers is a community like no other, offering unparalleled service, amenities, and resident events, alongside amazing architecture and history. We hope the provided information assists you with your leasing process. Lease: Legal contract you sign before moving into your apartment. Tenant: The individual who resides in the apartment/room. Landlord: The individual who takes owns care of the apartment/room. Relet: When you find someone to move into your apartment, taking your place. Roommate: Depending on which apartment style you choose, you may select to share your bedroom with a roommate, for an additional monthly cost. If you chose to share your apartment, but don’t know anyone, we offer roommate matching based upon your preferences. Application Process: This is the first step to live at Coronado Place & Towers. You need to provide your basic background information allowing our staff to generate your lease. When you rent, you will sign a legal contract. This means you promise to live in your assigned apartment through your lease expiration date. How many months you will reside in your apartment. The apartments are unfurnished, however we do offer a few select furnished apartments, for an additional monthly cost. Each apartment has a full kitchen, all apartments include cable and internet service, and most apartments include all utilities, dependent upon which building you select as your new home. Also, laundry is easy, three of our four buildings include a large, 24-hour laundry facility, the fourth building’s apartments include washers and dryers in each apartment. There is free locked bike storage located on the lower level of Moolah Parking Garage. Coronado Place & Towers is steps away from the Saint Louis University campus. Public transportation, a Metro Bus Stop is located immediately in front of the Coronado, and is only a short bus ride or walk to the nearest Metro-Link, light rail station. You can learn more information about St. Louis’ public transportation via the Metro Transit - St. Louis website, https://www.metrostlouis.org/Default.aspx. Coronado Place & Towers also provides shared bike access through Zagster Bike. You can learn more about bike sharing via the Zagster Bike website, http://www.zagster.com/. Every month special events are offered and open to all residents. The events are a great way to meet your new neighbors. In the past we have hosted Taco Tuesday, Waffle Wednesday, Ice Cream Socials, Midnight Breakfast, Movie Screenings and Pool Parties! It’s a great time and we always have plenty of free food. Sometimes, we even give away concert tickets too!